Generally, we introduce new candidates each week at Progressives Everywhere. But because today is Mother’s Day, we wanted to step back and embrace the spirit of the holiday by recognizing the incredible work and sacrifices of the women that we’ve already endorsed. Women are rising up and running for office in record numbers, inspired by the Trump Administration’s attacks on women’s rights specifically, as well as its gross assaults on the human rights that women have led the fight for over the last century, like education, affordable healthcare, and the right to vote. If we are going to take back America this fall, it will be thanks to the women who are sacrificing so much to run for office. Many of our candidates are mothers, while others act as important mother figures as teachers and other public servants. You can find biographical information about our entire list of candidates on Progressives Everywhere, and donate to them on our various ActBlue pages, each of which offer the ability to give to one or more particular candidates. You can choose from women on our main slate; women fighting against the NRA; women running against religious right wing extremists; women teachers running to help fix public schools; and women running for office in New York State to help end decades of corruption. Any donation helps. Some of these races are very local and so any money makes an outsized difference. The bigger races will see the GOP candidates benefit from huge corporate donors, so grassroots money is crucial. Donate on behalf of a mother or woman in your life. Donate in the memory of someone who helped raise you or teach you. Donate because mothers know best, and that’s why we need them in office. Even in an era filled with mass protests and daily political outrage, this spring’s rolling teacher strikes are particularly noteworthy. Tax breaks for millionaires and oil companies have left many schools in various states of disrepair, and an entire generation of students have been forced to learn from emergency substitute teachers lecturing on ancient textbooks held together by duct tape. Exhausted by a decade of cuts to education funding and energized by vast public support for their cause even in reliably red states, teachers across the country have hit the picket lines and filled up capitol buildings to demand increases to school budgets and long-overdue raises. Striking teachers in Arizona, Oklahoma, and West Virginia have won impressive concessions from GOP-dominated legislatures, but the job is not complete. Outspoken teachers have vowed to continue fighting for their students — not only by appealing to lawmakers, but increasingly, running to displace them. We’ve highlighted a number of those teachers here at Progressives Everywhere, and now we’re expanding the focus to include parents and school activists are running for local office. First up is Gay Adelmann, who is running to represent Kentucky’s 36th district in the state senate. Kentucky has also seen massive teacher strikes, but faces a defiant governor who just signed a bill that hurts teachers’ pensions, no doubt a provocation. Adelmann has been involved in the battle to save the state’s public schools for several years now, her activism inspired by the cycle of neglect and abuse of her son’s Louisville high school. She is vehemently opposed to the GOP’s plan to allow privately run, publicly financed charter schools across Kentucky, because they will drain resources from already strained schools and enrich private donors, and through her founding of several parent/teacher organizations, she has lobbied hard against it for the past several years. The candidate has come a long way in a short amount of time. Adelmann’s involvement began by starting a website for her son’s underfunded high school; now, she’s campaigning across Louisville to convince voters to stand up to millionaire donors who want to wrest control of public schools away from communities and siphon money to privately run charter schools. How’d you decide to run for office? My senator [Julie Raque Adams] voted for charter schools in 2017 despite my group’s efforts. The Koch brothers are paying the charter school lobby and have a privatization agenda, to take money out of our public schools and put it in their pockets. And we tried to draw the picture for her and help her understand the harm that was being done in other states. She pretended to get it and even told me to my face that she was going to vote against it — or at least ask really hard questions and if they couldn’t answer them, vote against it. And then she ended up asking a really soft question and then voted for it anyway. We made a list of everyone who voted for the charter school bill and a targeted and recruited people to run across the state. We have 30 educators all over the state that are running. And then so I went back to the list and there was one more senator sitting there with nobody against her. And I said, I guess I know what I need to do. So let’s take a step back even further — what got you involved in education policy to begin with? I got involved because my background is marketing and when we moved to our district, my son’s school didn’t have a website, didn’t have a PTA. I built them a website and I started a weekly email blast out to parents and supporters. There’s also something in Jefferson County called Showcase of Schools every year, so we made sure we had a really nice display showcase of school. That’s important because the school is in the west end, which is the high poverty part of town. Who creates these policies, and how do you change it? It’s insane, the logic that’s applied by people who actually haven’t set foot in public schools in 30 years. So we started trying to really help them understand what was going on. I saw that a lot of what was happening at the district level. We formed an organization called Save Our Schools Kentucky. The legislature couldn’t get the charter school bill passed until the very last day of session in 2017. So that was good. We slowed it down quite a bit and we made it less bad than it would have been, which is not great, but it’s still better than before. So they got the charter school language in, but there was no funding mechanism. On the last day of session they passed House Bill 520, which was the language that allowed for charter schools to exist. And then they ran over to an Appropriations Committee meeting and stuck in some funding for it. It was only a makeshift funding bill. We still don’t have charter schools here because we haven’t even gotten to the point where they can open for business. The first applications are now being accepted, but we don’t have funding for it this year either. So where is the fight now? During the legislative session in 2018, when they were hoping to get permanent funding, we actually stopped it. We had people protesting for every day of the session, holding signs and greeting legislators as they came, to make sure they felt the pressure. And so we were able to stop the funding mechanism for charter schools. There were a number of other bills that made public schools less competitive, and we stopped those as well. Then Governor Matt Bevin announced that there was going to be a special meeting to discuss the firing of the education commissioner. And they did it, they fired our commissioner and replaced members on the statewide board with pro-charter people. So now our K-to-12 has no one on it that understands public education. It’s an entire board made up of people who are pro-charter schools. And now he’s announced that they want to take over our democratically elected school board in Jefferson County, the state’s largest district. People have been protesting hard, and filling the capitol, but this is still a Republican-leaning state. What are your chances? This isn’t and shouldn’t be a partisan issue. There were a number of Republicans that voted for public schools last year. We need to get people who truly understand public education in as many seats as possible. And there were some good Republicans running in those rural districts. It’s not likely to get a Democrat in those districts, so if you can get the pro-public education Republican in the seat, then that’s great. There are a lot of rural parts of the state, with mostly white people, so every time we talk about racial divides, people don’t want to do it. People actually consider you to be divisive by bringing in a race. And I’m like, no, you have to be inclusive in bringing up race. And so what plays well in the urban district is different than what plays well in rural districts. But for the most part I think we’re very united. By now, you’ve likely heard that Dr. Hiral Tipirneni fell short last week in her underdog quest to win the special congressional election in Arizona’s 8th district. But that only tells a small part of the story. In a dark red district that Trump won by 21 points in 2016, Tipirneni lost by less than 6%, evidence of grassroots progressive energy that could sweep Democrats to power this November — if we work our asses off to help make it happen. Progressives Everywhere raised over $6000 for Tipirneni’s campaign, which helped deliver a message to political pundits and Republicans. Another one of our candidates, Ohio legislature hopeful Zach Dickerson, outraised all of his GOP opponents in the first quarter. He raised $20,800, while the GOP incumbent — remember, the guy who wanted to let kids carry guns at school? — brought in only $18,200, including $12,500 from special interest PACs. Zach emailed me to thank Progressives Everywhere, so I’m writing to thank all of you. Republicans and the IDC have together been a major roadblock for progressive policy initiatives, blocking popular ideas like universal healthcare, criminal justice reform, extending voting rights, and protections for women, minorities and LGBTQ New Yorkers. That partnership was tacitly endorsed by Governor Andrew Cuomo, a machine politician who values power over progressive priorities. This has been harmful not only to New Yorkers but also to the rest of the nation, as progressive policies are much more likely to be implemented nationwide if they succeed in a major state. After half a decade of thwarted democracy, progressives, led by the Working Families Party, decided that enough was enough. They announced a slate of primary challengers for the IDC eight, and then Cynthia Nixon announced that she was mounting a primary campaign against Cuomo, running on her years of experience fighting for public education, LGBTQ rights, and other progressive causes. Yes, she’s an actress, but she’s also a serious candidate, well-read on the issues and passionate about her priorities. Lo and behold, right after receiving challengers from the left, Cuomo and the breakaway turncoat state senators suddenly decided to act like progressives, announcing the dissolution of the IDC and the implementation of a few long-overdue voting rights reform measures. Click HERE to donate to New York progressive primary challengers via Progressives Everywhere’s ActBlue page for New York State! But their scramble to satisfice progressive priorities and mollify angry Democrats is not enough. Cuomo has gone to work to splinter the Working Families Party, pressuring union officials to endorse him. His promises are generally empty; Cuomo has promised to govern as a progressive before, only to turn his back on our most important policy proposals. He won’t be able to pull that for long — if he even remains in office. Last week, Democrats flipped a Republican seat in the State Senate, moving one seat away from outright control of the chamber. Three more major Republicans are retiring from Albany’s upper chamber. Nixon’s campaign continues to build momentum, and the primary challengers are still working to unseat the former IDC representatives. With that in mind, Progressives Everywhere is working to raise money for Nixon, several of the progressive primary challengers, and the declared Democrat running for the State Senate in one of the three newly opened seats. Alessandra Biaggi is taking on IDC leader Jeff Klein. Texas Rep. Beto O’Rourke is drawing national headlines for his incredible campaign for Senate against Ted Cruz, as its combination of grassroots energy, social media know-how, and fundraising prowess has turned the race into a dead-heat. Less prominent, but no less important, are a handful of local and statewide elections that could pry Texas away from the iron grip of the GOP’s furthest right fringe. Republicans have been able to enact their radical, inhumane agenda in states across the country by winning state government trifectas. Currently, they hold governorships and both statehouses in 26 states — and in some places, democracy is even more of a distant memory. In Texas, for example, the GOP holds a supermajority in the state senate that allows them to simply ignore all Democratic proposals and pass bills without any debate. That’s been catastrophic for working people, women and minorities in the state, where Medicaid has not been expanded and the right to choose eroded. The situation seems dire, but as O’Rourke’s campaign is showing, Democrats in Texas are energized and ready to turn this red state blue (or at least purple). Just as Ted Cruz’s hold on his Senate seat is in danger, the GOP is at risk of losing its State Senate supermajority, which stands at just two seats. The Texas Tribune this weekend highlighted several winnable races, including what is already turning into a nasty, smashmouth matchup in district 10, the North Texas district once represented by Wendy Davis. Click HERE to donate to Beverly Powell via Progressives Everywhere’s main ActBlue page — make sure to select her individually, or give to our entire slate! Beverly Powell, a real estate agent who has served on school and college boards for decades, won a tight Democratic primary race. She’ll face off against Sen. Konni Burton, who is a loud, rude prototypical member of the far right Tea Party. When Powell won the primary, Burton greeted her with a nasty letter that, ironically, highlighted all of her own deficiencies. Burton lambasted Powell for expanding Medicaid expansion, a woman’s right to control her own body, and making sure public schools don’t become racially and economically segregated. The horror! Powell is indeed in support of expanding access to healthcare, financing public education instead of private school vouchers, and making college more affordable. None of these positions are radical, unless you live in a state that has been so dominated by a political party that’s run by corporations and far-right religious organizations. This is a winnable race — again, Wendy Davis represented the district until 2015 — and Powell can use all the help she can get. You should also keep an eye on Nathan Johnson, a composer and small businessman who is running against Sen. Don Huffines in the Dallas area, and whoever winds up winning a runoff primary to take on Houston-area Sen. Joan Huffman. When Cyndi Ralston retired after more than three decades as a public school teacher, she could have never imagined that just a few years later, she would be at the center of national headlines and the public figurehead of a major political rebellion. And yet there she was, driving across the state of Oklahoma this past Tuesday, giving interviews and plotting out her nascent campaign for state legislature, fitting in strategy and press in the few hours she wasn’t marching on the state Capitol with her many fellow striking teachers. After returning to the classroom to help combat Oklahoma’s desperate teacher shortage in 2017, Ralston decided that she also had to help fix the cause of the state’s awful education woes. So on Friday, she filed to run to represent Oklahoma’s 12th house district, officially commencing a race that has already earned national press coverage as a symbol of the political struggle in roiling red states. It is a microcosm of 2018: Ralston is running against a Republican state representative named Kevin McDugle, who drew outrage with a vicious anti-teacher Facebook rant. 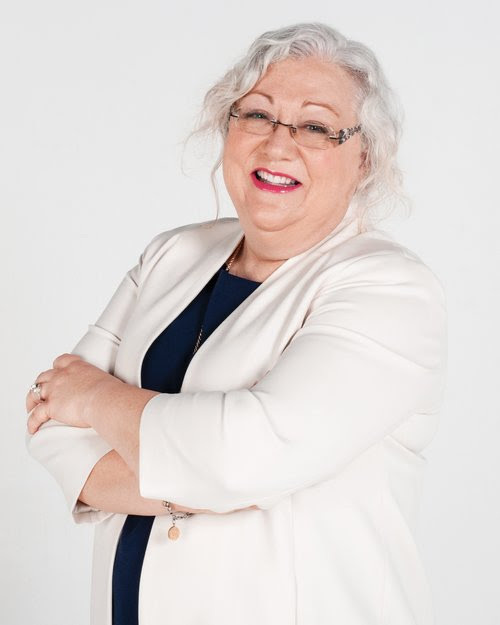 Ralston had been planning to run for months and was carefully preparing her campaign when that rant went viral, springing her into action ahead of schedule. Ralston is one of many Oklahoman teachers who has decided to step up and run for office as a Democrat, as the teacher’s strike becomes even more political. They’re campaigning explicitly against the trickle-down economics of that have bankrupted the state government, and fighting to increase the paltry education budget that the legislature just passed. Ralston, who has become a figurehead for the movement, spoke to Progressives Everywhere twice this week, with a follow-up conversation focused on the teacher union’s internal disagreement over a recent call to end the strike. Click HERE to donate to Oklahoma Teachers via Progressives Everywhere’s ActBlue page for Oklahoma Teachers! You returned to the classroom because Oklahoma passed a law allowing retired teachers to come back and keep their retirement. But the teacher shortage has had other consequences, right? Maybe halfway through my career they started allowing “alternatively certified” teachers. The difference in that is that alternatively certified teacher has to have a degree and they have to complete courses like child development and classroom management. Now they have “emergency certified teachers,” and they don’t have to have any training whatsoever. They have to have a degree, but no training and education. So they’re throwing his people, bless them, into the classroom with no child development, no training on classroom management, no training on how to effectively teach. I commend the people for trying to step into gaps that have been created because of the lack of funding for schools for the past 10 years. But, that’s not fair to them or the kids. We have several classrooms in Oklahoma that are still not filled with anyone at all and they’ve been served by substitutes all year long, just different people in and out, always a different person in the room. So nobody’s making plans. There’s no continuity for the kids. In 2004, they cut income tax. They lowered the top income tax level down to where a lot of Oklahomans are paying the same tax rate of 5%. It’s kind of absurd that Russell Westbrook, as much as we love him, is paying the same tax rate as I am. They also lowered the gross production tax on oil companies from 7% to 2% percent [on the first three years of a new well]. And they never raised it back with when the 2008 recession hit. They said, if we give the businesses a break and we give corporations a break, that’s going to trickle down and more jobs and blah blah blah. Well, it didn’t work. It ended up costing major amounts of revenue. And then now that the economy’s turned back around, they haven’t changed anything. They passed an education funding bill and raised teacher salaries right before the deadline, but it fell short, which led to the strike, right? So they passed the bill that raises teacher salaries. But what we had asked for was $200 million to be put in general education. That just brings us back up to the 2008 level of funding. They play games, play games, and then they did pass it — but they gave us $50 million for the general fund. The raise was nice and we thank them for it after 10 years without a raise. But we cared about the funding and we asked for $200 million because we have not had new textbooks in 10 years. They had allowed them to open the textbook fund, which has never happened before, and opened it up to allow them to use it for general funds to pay for teachers. We have ripped apart, duct-taped books. And we only have 25 reading books per grade level at my school. The teachers have done an amazing job being creative. We have the kids have rotate from teacher to teacher. One teacher teaches all reading because we only have 25 books. One teacher teaches language and spelling. One teacher teaches math. That starts at first grade and developmentally, children should not be going to three different classrooms during the day. High school kids struggle with that. We’re having six and seven-year-olds do it. Over 70% of Oklahomans approve of the strike, which is incredible. People are figuring it out from listening to us. They’re also watching the process which they haven’t done before and they’re tired of it. They want the money in education. That’s it. They understand that that’s one of the most important things for future and their own children and grandchildren. It’s been amazing to see the kids up there and learning and watching and being in the gallery and going and talking to legislators and realizing these are people. They’re not any different than you, they’re elected to represent you and you can go and speak to them about what you feel and what you would like them to do. It’s been amazing. And yet, McDugle didn’t think that we’re doing such a great job leading and teaching our students. The head of the Oklahoma Education Association has called for an end to the strike. Where do you stand on that? Teachers were very frustrated when OEA had a media event on Thursday evening saying that the walkout was over. They felt like the OEA wasn’t speaking for the collective group. A lot of teachers want to drop their memberships but I’ve asked them not to do that and to actually join the OEA, but call for the resignation of the president of the association. If we lose membership, we will lose our bargaining power. That is extremely important to keep in a Right to Work state. We are continuing our pressure on the Republican legislators that have not allowed the bill that repeals the capital gains tax exemption and another amendment to a bill that just got written Friday by Republican leadership that allows the legislature to pull from already appropriated funds (like teacher retirement) if the revenue brought in that year won’t fully fund their budget for the year. There have been several years recently that due to tax cuts and restructuring of our tax codes, on top of not having oil and gas companies pay their fair share, that this very thing has happened. This will only compound the problems we are having in our state, not solve them. We are still holding them accountable by sending delegations of teachers from every school district that we can to the Capitol with parents and community leaders every day until the end of the session. We are watching the live feeds of committees and checking votes every day then calling them about their votes immediately. Ralston’s son Josh Martin is also running for office, in OK’s 80th House District. With so many great candidates rising to the occasion, Progressives Everywhere has set up a fund specifically for teachers running for office in Oklahoma.